Finally. A sales dashboard that actually helps you pay attention to what matters. All your key metrics. One view. Databox makes it easy to keep all your key sales metrics front and center -- no matter where they’re stored. Whether it’s Salesforce or your own custom data warehouse, viewing your most important data all in one place is a breeze with Databox. 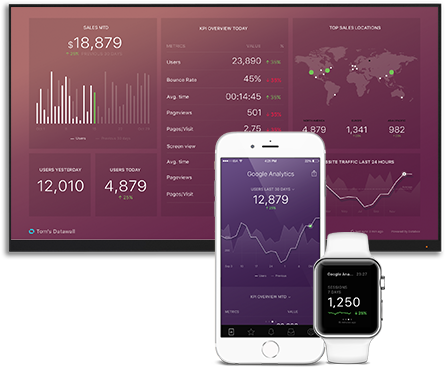 With beautifully designed apps that are optimized for mobile and sleek Datawall displays that present data to your entire team, tracking quarterly progress and managing your pipeline has never been easier. Keep your finger on the pulse of your business. Literally. Anytime, anywhere. Slick mobile and desktop views for your most important data. All in one place. 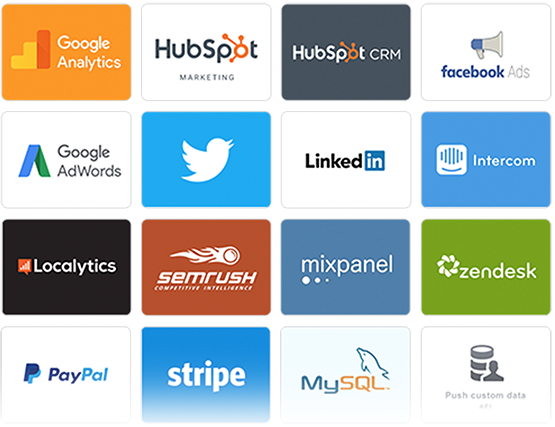 Aggregate key metrics from every source into the ultimate sales dashboard. Stay in the know. Get a daily snapshot of your KPIs each morning.